The rugged Dolphin CT60 is ideal for enterprises requiring anywhere, anytime connectivity and fast data capture for maximum uptime and productivity. Built on the Mobility Edge Platform, the CT60 features an integrated, scalable approach based on common software and hardware for future migration protection without sacrificing enterprise security, reliability, performance or management features. 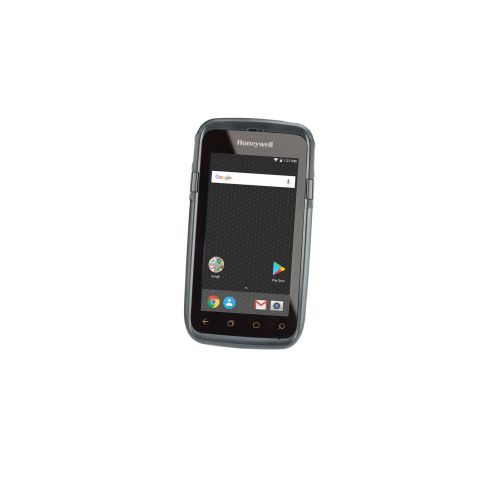 Honeywell’s Dolphin CT60 mobile computer is designed for enterprises that require anywhere, anytime real-time connectivity to business-critical applications and fast data capture capabilities in a rugged form factor built for maximum uptime and productivity out in the field or on the selling floor. Built on the Mobility Edge Platform, the CT60 offers an integrated, repeatable, and scalable approach based on a common hardware and software platform unleashing customers from constraints faced today around integration and inflexible technologies without sacrificing enterprise security, reliability, performance or management features. Juggling multiple devices across the enterprise introduces time and cost intensive complexities for Enterprise IT to manage and maintain. Built on a unified, dynamic hardware and software platform, the CT60 is the first device to launch in a series of devices that enable customers to accelerate the provisioning, certification and deployment of mobile solutions across the enterprise, simplify the overall lifecycle management, and offers industry-leading long product lifecycle. Equipped with enterprise lifecycle tools, the CT60 brings simplicity to the frequent tasks of software updates, training new employees, managing spare pools, and reducing investments in peripherals. The CT60 is packed with features to keep workers connected and productive all day long. The advanced network connectivity facilitates large file transfers, video streaming, and quick remote access to business applications with enough battery power to last an entire shift. The rugged design withstands accidental drops and falls, yet is ergonomic and lightweight for comfortable, everyday use. A vivid 4.7” Corning® Gorilla® Glass touchscreen display is easily read indoors and out, and can be used with finger, glove or stylus.